of the world, whether the person was consciously aware of it or not. Phoenix was the ideal location for this initial expansion of our newly empowered Planetary Grid of Transfiguring Divine Love. The Phoenix Bird rising from the ashes is the perfect metaphor for the New Earth of Love and Oneness rising out of the ashes of the old Earth of separation and duality. Light will bathe the Earth for the entire month amplifying the Lightwork of every single person a thousandfold. On February 11th, at our Free Seminar in San Jose, California, we will again unify our hearts with Lightworkers around the world to weave the 2nd wave of Light into our Grid of Love. In addition to empowering our grid with new frequencies of Transfiguring Divine Love our Father-Mother God infused new frequencies of Christ Consciousness into the grid which are designed to lift every man, woman and child on Earth a quantum shift toward Christ Consciousness. 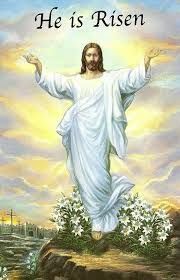 Christ Consciousness is the enlightened state of consciousness we were invested with by our Father-Mother God when we were first breathed forth from the Core of Creation. After we fell into the abyss of separation and duality, we lost Christ Consciousness and the ability to communicate with our I AM Presence. Since that fateful time, we have been struggling to reverse the adverse affects of our fall from Grace and to reclaim our Divine Birthright as Sons and Daughters of God by returning to Christ Consciousness. Our Father-Mother God have given us an invocation that will assist every person’s I AM Presence to assimilate these new frequencies of Christ Consciousness. Dear One, this month please hold the sacred space for this powerful activity of Light and repeat it as often as you are inspired to do so. able to perceive with our finite minds. and there is no separation. On the Holy Breath, I now breathe in and out deeply and rhythmically through my Heart Chakra. With every Inbreath, I align with the Love of my Father-Mother God and the Sacred Breath of the Holy Spirit. Divine Love and Power into the physical plane of Earth. As the full Divine Potential of my Mother God’s Pink Flame of Love pulsates through my Heart Chakra, it is brought into perfect balance with my Father God’s Blue Flame of Divine Power which is also pulsating within the Divinity of my Heart. My newly balanced Heart Flame has a dual pulsation. The first pulsation is the In-breath—assimilating and absorbing the Power and Love of my Father-Mother God. The second pulsation is the Ou-tbreath—expanding and radiating out the Power and Love of my Father-Mother God. My Heart Flame is the inward portal for my return to Christ Consciousness. 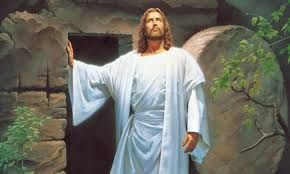 It is also the Open Door that will allow me to once again communicate with my I AM Presence and the Company of Heaven. It is through this Open Door that the blessings from my Father-Mother God and the Realms of Illumined Truth radiate outward into my daily life. On the Holy Breath, my return to Christ Consciousness and my inner journey back to my Father-Mother God are balanced with my outer service to Humanity and all Life. It is within this balance that I open my Heart Chakra once again to the perpetual flow of my Mother God’s pure Divine Love. My Father God’s Blue Flame of Power and my Mother God’s Pink Flame of Divine Love are now balanced within my Heart Flame. These two aspects of my Father-Mother God now merge into the magnificent Violet Flame of God’s Infinite Perfection. This Sacred Fire blazes up from my Heart Chakra and expands into my physical brain structure activating my pineal, pituitary and hypothalamus glands, and the ganglionic center at the base of my brain. The activation of my spiritual brain centers creates the sacred space for the opening of my Crown Chakra. As this occurs, a greatly intensified frequency of the Yellow-gold Flame of Christ Consciousness begins flowing from the very Heart of God into the Planetary Grid of Transfiguring Divine Love. These brand new frequencies of Christ Consciousness now flow through my I AM Presence and my Crown Chakra into my pineal gland. and Reverence for All Life than I have experienced since Humanity’s fall from Grace aeons ago. The illusions of separation and duality are shattered. I now know that I AM One with all of the Sons and Daughters of God evolving on Earth. At long last, I experience the bliss of knowing that LOVE IS ALL THERE IS and I AM that Love. And so it is. is offered for FREE, it is not altered, and the proper credit line is included. Thank You. Video: "Om Namo Bhagavate Vasudeva - Daily Mukti Mantra Chant Of Liberation"